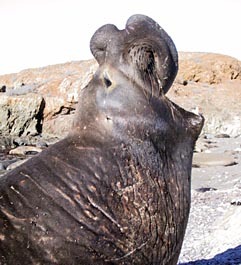 The genus Mirounga comprises two species, the southern elephant seal (M. leonina) and the northern (M. angustirostris). Northern elephant seals breed in California and Baja California, mostly on offshore islands but also on the mainland (in particular , in the Ano Nuevo Reserve near Santa Cruz). Distribution of feeding grounds at sea is much wider, with some individuals reaching the Gulf of Alaska. Northern elephant seals were hunted almost to extinction during the 19th century, but after the introduction of protection laws in the United States and Mexico the species recovered at fast rate, and expanded outside its previous breeding range. For many aspects, the two species of the genus Mirounga are very similar: external appearance, behaviour at sea, movement on land, gross traits of mating system and reproductive behaviour. The first difference is size, with the southern species much larger. 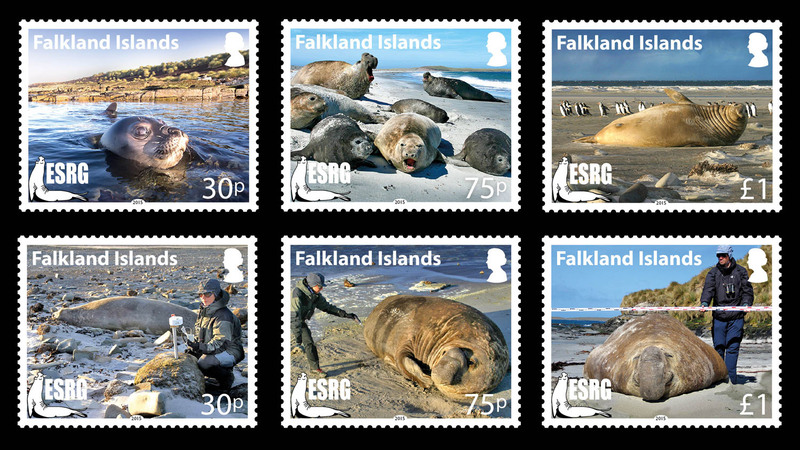 In northern elephant seals maximum weight is about 2300 kg for males versus 3700 kg for southern, while females are more similar. On the contrary, secondary sexual traits are more developed in the northern species: the trunk is longer, and the nack and chest shield is more developed. 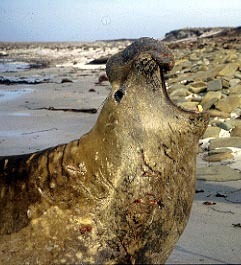 The two species have similar breeding cycle, but they breed at diffent time of the year (January-February in the northern species, September-November in the southern), and present differences in breeding strategies: in particular, length of lactation is longer in northern elephant seals (24-28 days) than in southern (22-23), and also post-weaning fast is longer (56-74 days versus 37).